This 1960s era artifact is a composite of two images, both of which were commonly used for postcards on their own and together. It features a 5.5″ x 8″ combined image mounted on a brown leatherette hanging frame with fringes around the image. 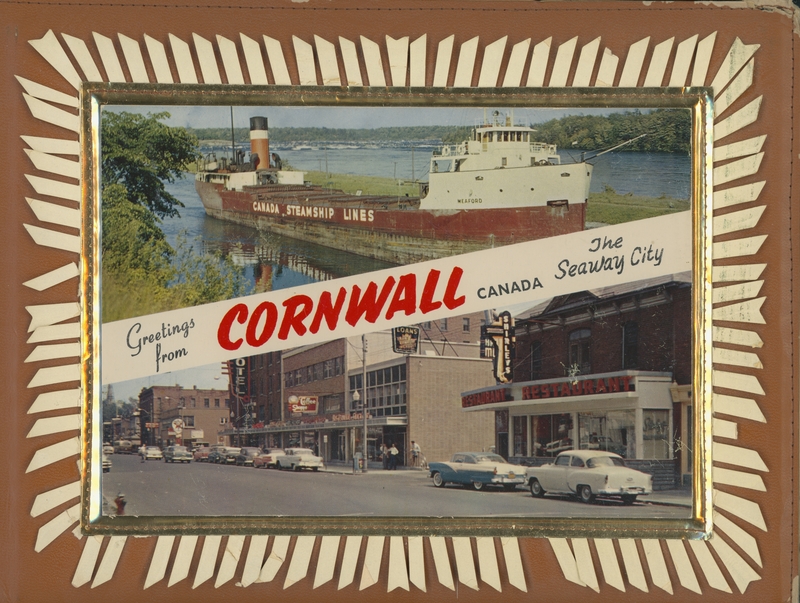 Diagonally intersecting the images is the text: “Greetings from Cornwall Canada, the Seaway City.” The upper image is of a Canada Steamship Lines vessel navigating the former canal while the lower image reveals a section of the south side of Second Street West between Pitt Street and Augustus Street, including Shirley’s Restaurant and the Cornwallis Hotel, neither of which exists today. 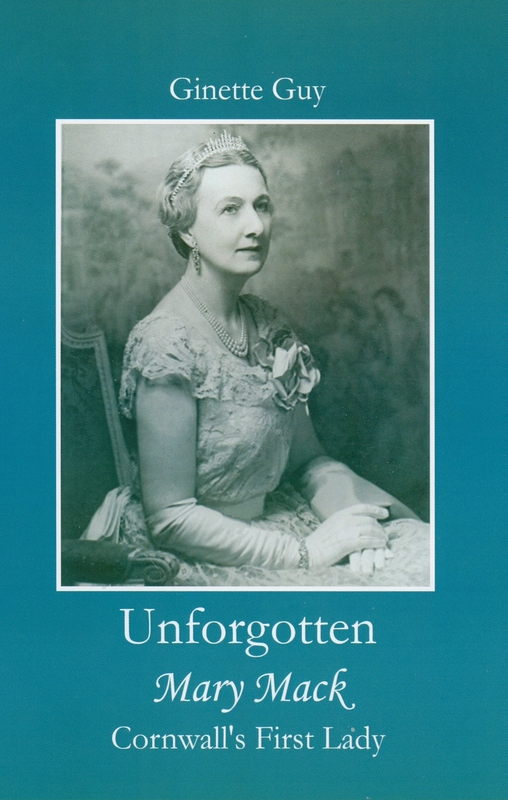 This treasured item was recently donated to the Historical Society by Museum neighbours Walter and Rita Tallon. « Quality First Laundry & Cleaners – final cleanup?